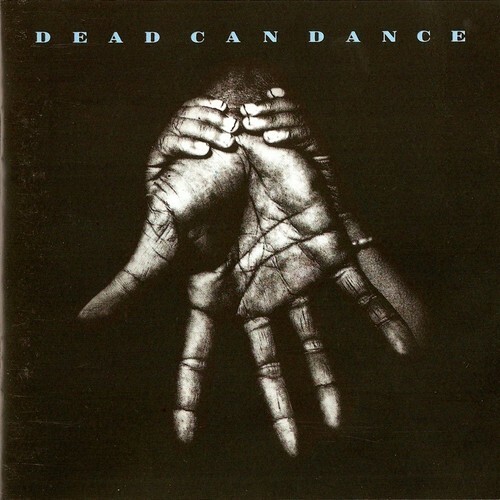 Toward the Within: Dead Can Dance. Three words that, for better or worse, carry a lot. Have you heard of them? If not, I’ll tell you about them in a minute. But this post is really about a special kind of magic, and for you, perhaps Dead Can Dance will have nothing to do with it. Writers often speak of inspiration. But for me this post will go just a bit beyond inspiration and slip into the realm of magic. 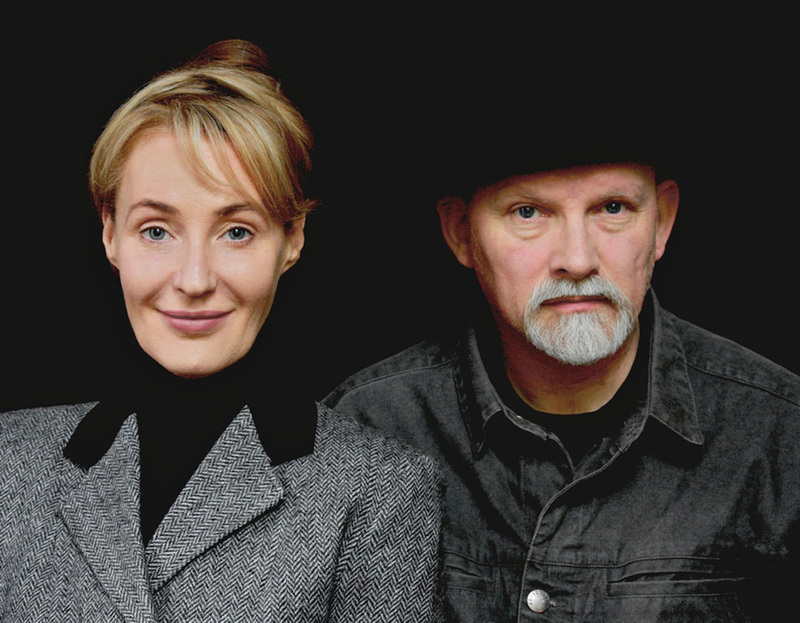 Dead Can Dance is the talented duo of musical artists Lisa Gerrard and Brendan Perry. Their music is truly unique, blending Turkish, Balkan, Celtic, Bretagne, and Persian modal traditions into a unique and varied artistic vision all their own. They came together in Australia in the early eighties, later moved to London, then went on to create their own studio in an abandoned church in Ireland. They disbanded in the late nineties to pursue successful solo careers. To my great happiness, Lisa and Brendan reunited in ‘12 for a new album and tour. They coined their name to imply how cultural history, and even instruments, made of wood and animal skins, could still conjure human emotion and bring about joy—how something that was rightfully dead could still dance. Early on they were surprised and chagrined to find that, probably in part because of their name, they had gained a large following among Europe’s gothic youth movement. You know, the goths I wrote about here a while ago—the ones my mom doesn’t like. Indoctrination (A Design for Living): Being a Cocteau Twins fan from early on (which I wrote about here), I was vaguely aware of DCD because the two bands shared a record label in 4AD Records. Both bands had been musical guests on the popular This Mortal Coil collaborations. But I hadn’t collected their albums. When I first started writing fiction, I knew music would be a part of it. I’d always read with music on, and had long known that certain kinds of music enhanced the experience. And I knew which music worked for my chosen genre of historical fantasy. I know music is a distraction for some writers, but I’ve never been distracted. Quite the contrary. Very early in my writing life I found that the right music, especially at the start of a session, aided my immersion into the world of my story—even into a certain scene itself. Anywhere Out of the World: I have listened to hundreds of other songs by scores of other artists while I work, and I have been inspired by them. And yet, to this day, certain DCD songs will instantly evoke a certain scene or scenes, some of which I wrote almost a decade ago. In mere moments, I am transported. Lisa Gerrard’s voice, often chanting incantations in a dead or unknown language, has become the very voice of the Skolani (my all female warrior tribe). Other songs, mostly sung by Brendan or instrumentals, evoke the world of the imperials in my story. Mesmerism: For example, Lisa’s chanting accompanied by tribal drumming in the song Bird immediately puts me in the lush forests and mountains of the Pontean Pass, where Skolani Blade-Wielders prowl in stealth, diligently watchful for intruders to their homeland from the seacoast cities of the imperials. The live version of the song Cantara tiptoes in like a hunting war party, then gallops into an encounter with the foe, building to a battle-frenzied finish, perfectly emoting the rush of combat and the thrill of victory. Hearing it, I am instantly transported to the culminating battle of book two (the Battle of the Oium Plains, for those in the know). And this has happened with dozens of scenes and DCD songs over the course of my four manuscripts. Not only were they an inspiration, a part of creation, but the music is an instant portal to another place and time–another world. Hopefully, another world that can become a touchstone for others. In the Wake of Adversity: Perhaps the most transporting of all the DCD songs to a certain scene for me is the gorgeously mournful The Host Of Seraphim. I am listening to it as I type. I can immediately see my character in the scene, weary from her efforts, desolately surveying the wreckage, the waste and death in the aftermath of battle. Then, at 1:50 into the song, she sees a fallen comrade, someone dear to her. She runs to them. She believes it is her fault. For me, her grief and regret float on that ethereal chorus. But I know that for a hundred other writers, a hundred different scenes could be wrought by this haunting orchestration. Mother Tongue: Even now, having the scene I just described brought to life through music, my neck pricks, my eyes instantly glassing. This amazes me. I am aided to a state of joy, sorrow, or awe by the art of another, in hopes of inspiring joy, sorrow and awe in others. As I said at the onset, music truly is a special magic—one of mankind’s finest achievements. It is a triumph which sets us apart. Even when I don’t know the language Lisa is singing, I am connected. That, my friends, is art. And, for me, magic. 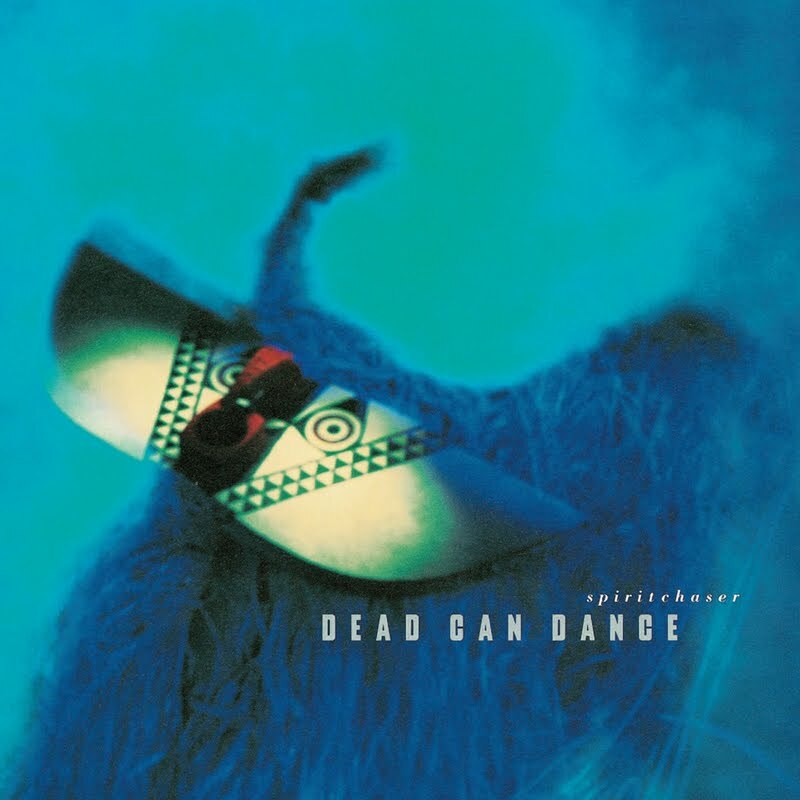 Dead Can Dance shines a light for me, guiding me to another world—a world of my making. What a special gift they have bestowed. Like storytelling, music brings us together, lets us know we share the human condition, that we are a part of something larger. One day I hope to pass along this gift to my readers. Don’t Fade Away: Tell me how music relates to your journey. Do you listen while you write? Who is your DCD? This entry was posted in Writing and tagged Dead Can Dance, This Mortal Coil, Writing Inspiration, Writing to Music. ← “It Was a Dark and Stormy Night.” Of course it was. I literally thought my daughter and I were the only two on the planet who did a little dance of joy to see Dead Can Dance return as a group. Their tracks are on constant rotation for me when I have something to really concentrate on – or am blocked and need to find a word. They do have that ‘timeless’ feel to their music that seems to engage something deeper, open the door as it were. Yes, give them a try, KL. You being a fantasy writer, I predict you will find at least some part of their catalog that speaks to you, or fits a certain scene or character. Thanks for reading and commenting! Love that you delved into the background of Dead Can Dance and explained the origin of their name. I always did wonder. To me, the quirky-ness had an edgy feel that went along with their very moving tracks. Lisa Gerard’s lovely quote echoes a sentiment written by Stephen King. The words, the music, the inspiration we create can live on long after we are no more. I discovered DCD after falling deeply in love with Sanvean. It’s still my fave. I can’t listen to music while creating rough drafts, but tracks like these are perfectly paired with revision– where I go deep and add the details that give mortal flesh to the bones of structure. It is, as you say, magical– breathing life into paper characters and cardboard scenes, so that they lift off the page and reach for us as real as any human engagement. Thanks for another inspiring post — and new music to check out. Now I understand why your scenes flow so beautifully, allowing the reader to immerse themselves into a world that feels real and alive. I may have avoided them prior to my writing because of their name and their image of being sort of part of the morbid underworld scene. I’m glad I learned differently. Yesterday, I spend the day listening to their music and reading and watching interviews with them. They truly are amazing artists. Your point about revision is spot on. Even though I also use music during the drafting of scenes, it becomes even more vital during revision. And the goal is creating something real–suspended disbelief, I guess, but for me very real. If only in the human emotion evoked, fiction is very real, indeed. Vaughn, thanks for sharing this band. I’m intrigued now and will have to sit down and listen to them. I use music when I write to block out external noise (the sound of Mario meeting yet another untimely death, for example) and also to set the scene in my head. When I’m alone, I keep the volume so low that I can barely hear it, but I’ll use the song as a trigger for a particular scene. Then, when I have time to go back to write more later, I’ll play the song and hopefully be back in the scene immediately. (Or at least faster than I would have been without the music.) It’s been a help in these days when my writing time is limited. I think it’s so cool that there are others who use songs as triggers, to put themselves into a scene. I hear you on the blocking out thing. I’m mostly home alone when I write, but if there is a TV on, or people talking, I must don the headphones. Luckily, I have DCD to fall back on, once the headphones are on. I can’t listen to music as I write. I’m quite auditory and kinesthetic, so anything with a melody means I can’t hear the words in my head and feel the emotions they evoke. But I have had success by going for a walk and playing certain tracks before I write. They’re all contemporary and the lyrics fit with my themes. I listen to music while writing and revising, and when I’m walking and end up inevitably thinking about the current book. While I’m brainstorming and plotting, I’ll often make playlists that evoke the characters and certain scenes in the book, too. I’ve been listening to Dead Can Dance for years and was lucky enough to see them when they were in Ireland late last year. The experience of hearing them live was simply extraordinary. I’ve listened to them at some point in every book I’ve written–their music could be considered archaic and suited only to certain types of books, but I find the emotion expressed in them transcends that. Hi Helen! Thanks for stopping by. I do the same, setting up playlists for certain characters or segments of each story. I have quite eclectic tastes in music, but mostly settle into contemporary christian – usually with a little southern rock influence, such as Third Day or Kutless. But as a lover of music, I’m always looking for new groups (at least new to me) to thrill me. This seems like one that could possibly do the job. Their influences…I’ve got to listen to them just to hear the combination of the various modal traditions. Music and sound are important to me…I need them around. Of course, I always appreciate the tranquility of silence, too. When writing, if music is playing, it has to be at “white noise” level: barely audible, so my mind doesn’t start singing along. A television could play, and I’m able to tune that out, since speaking is erratic and not to a specific rhythm or cadence. I can fall asleep to the TV, but never to music, for the same reason. I inevitably sing along. I also like to offer reading music on my site…both to promote a favorite band and offer soothing sounds for my visitors to enjoy while perusing my posts. I’ll definitely look up DCD and see what they have to offer. The covers were excellent – hope that’s an indication of what’s inside! What a great idea, ML, to offer up music with your posts! 🙂 I’m the opposite on TV, however. I cannot tune out TV noise. I think I need a cadence to fall into the creative trance, or even to sleep. I do understand the urge to follow the lyrics, though. That has interrupted flow before, but it’s also supplied me with poetic inspiration at times. Oh boy, I go back and forth on listening to music while I write. Some days I need it, to help tune out other background noise (like in a coffee shop). Other times, I get lost in the song and forget what I’m supposed to be writing. I will say, though, that I agree with you: music is definitely an inspiration. I’ve written stories based on songs, included songs at the end of a post that match the tone of the essay or story, and I’ve considered putting together a collection of songs for the novel that I will eventually finish. When I do listen, I tend to play Pandora and tune into an Ingrid Michaelson station or the Avett Brothers. I’ll have to check on DCD. They’re new to me. Hey Christi! 🙂 I know what you mean about covering over background noise. I must say, as much as I love Ingrid and the Avetts (and I really, really do), that is the kind of ‘front and center lyrical’ music that will distract my writing. When I hear Ingrid, and her precise annunciation and poetic lyrics, I want to tune in to them. That’s part of the appeal of DCD for me. They blend into my world. Pandora is great. I’ve discovered a lot of music similar to DCD thanks to Pandora. A lot of it is tinged with an eastern flavor that they only touch upon, but it’s all great fodder for me. You’ve noted such great and deep quotes, there, Vaughn! Music’s not something I listen to while I write, but it’s a great source of inspiration, and can easily set the mood just before I’m about to create a new scene. It’s an amazing resource for writers, and one we can’t live without! I thought I’d research DCD for an hour or so for this post, and it turned into most of an afternoon, all while listening to their music. Besisdes being talented and fascinating, Lisa and Brendan are truly inspirational! Those two quotes really spoke to me, from among about a hundred I could’ve used. You are so right, Margaret, that it’s a resourse, and one we can’t live without! Thanks so much for reading and commenting! Have a great weekend! I love having this insight into your writing process, and the glimpse into specific scenes you mention here. I usually write without music, but sometimes I’ll put music on to give myself a little shake-up. Usually, I use Pandora — and the station I use most often is heavily loaded with The Weepies and the Wailin Jennys. Some of those songs evoke characters or scenes in my novel too. Loved this post. Love “my neck pricks, my eyes instantly glassing. This amazes me. 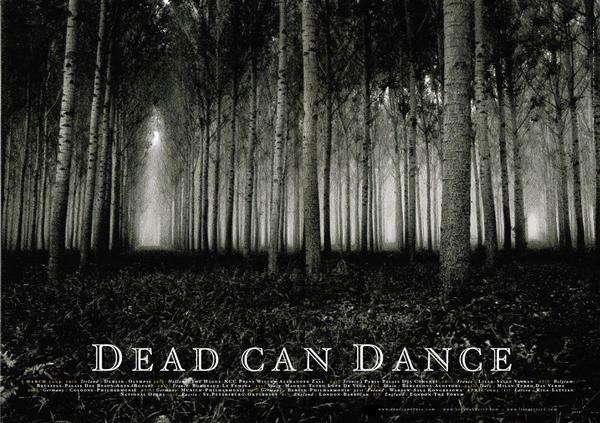 I am aided to a state of joy, sorrow, or awe by the art of another, in hopes of inspiring joy, sorrow and awe in others” I wouldn’t be the person I am today without Dead Can Dance and 4AD. I would say they shaped me. They spoiled other bands who aren’t as complex and driven for me, which is good. They pulled me away from the Mormon church, into an identity I still own today. The 4AD band that “carved out chunks of my brain” would have to be The Cocteau Twins. My love for them is more than sweet reminiscence, although it can be that as well. They can instantly transport me back to various points of my creative life, and I better recognize myself by seeing who I was a various points along the way. I’m so glad the piece resonated for you, and that music (particularly my beloved DCD) played such a vital role in your finding yourself. Thanks so much for reading and for letting me know. Cheers!